Those Last 75 Pounds: Back on Track!! Okay, I'm back on track. Literally. I've tracked my points for two days now. I actually only gained one pound while on vacation and then gained 11 pounds when I got home. I don't know what the problem was. I was just swimming in all these thoughts about how I could get back to Vancouver. (Still happening by the way, my mind has not been changed). 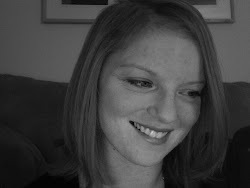 I think I was just distracted and unhappy here. There's some family drama happening revolving around my little sister (not the one in the pic) and my mom that just won't die down or go away. But I've decided to move on from that because I can't change it, it's not my drama, it's not my fault, and it's not my problem. I'm not taking it on anymore. Case closed. My plan of attack now is to keep the tally going on my "consecutive days tracked". I found out last Thursday that a friend of mine in the same area has gone back to going to WW meetings so starting next Monday, I'm going to go with her for the rest of the summer. I've also roped in a neighbour for some exercise accountability. Over BBQ on Saturday night we made a pact to do AT LEAST 15 minutes of activity daily starting today. I did Zumba for Wii after work. I really love it, I don't know why I don't do this every day other than that I'm lazy!!!! I'd rather watch tv. But I popped it in and I did the 20 minute Beginner workout and I was a PUDDLE by the end!!! The 20 minutes flew by because I like it! 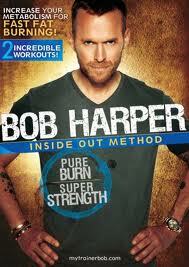 Tomorrow I'm giving Bob Harper's Pure Burn Super Strenth video a whirl. Here's a trailer if you want to be scared! Then I'll do the Zumba again the following day. I also tried the yoga on the Wii Fit a couple weeks ago and I liked that too so I will have to work that into the rotation. (haha - if I'm going to move to Vancouver I'd better practice my yoga, I hear they are a bunch of yogis out West :) So there's my plan! Alternate lots of workouts to keep it fresh and actually use all these games & videos I own and count my points like a good little Weight Watcher! Finally, someone had commented a little while back asking what I thought of the Zumba for Wii so here's my brief review. I'm uncoordinated and I find it to be lots of fun. Even if you're terrible but trying, you sweat! I love the latin music! A negative is the tutorials. I found the tutorials to go too fast. Your best bet with the tutorials is to not put the wii remote in the belt. It automatically thinks you're doing well even when you're not and bumps up to the next level. My suggestion for the tutorial is to do it without the remote, then when you think you have the steps, give the remote a couple of shakes and it will move to the next level. I just gave up on the tutorials and found it easier to just jump right in to the beginner workouts. You pick it up pretty quick and with practice, you get better & better! 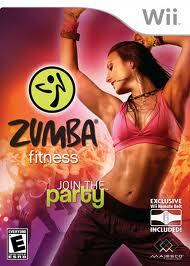 I want to try Zumba... I'm going to have to buy me a copy for my birthday I think! I hear ya on family drama! I too have a sister & mom that have drama & my sister has lived with me (along with her 4 kids, 2 dogs... one just had puppies, and boyfriend) for the last 3 years! I need to take my life back, I did it with the plan to lose weight on 6/6 & now I'm hoping they will be out by friday so I can move on with the rest! lol i love your PS! I got the Wii Zumba for Christmas and still haven't used it. Shame on me! I should really give a whirl. Thanks for the reminder. Good to see your back! I just came back last week after gaining 10 myself..OY!